We manufacture G. F. N. Liners as per customer requirement. These liners have high vertical rigidity for even load distribution and has high water resistant life. Being a well established-organization, we are engaged in providing a distinguished range of GFN Insulating Liners. We are engaged in manufacturing and supplying a wide range of GFN Liner or metal liners which are extensively used in railway purposes. Specification. 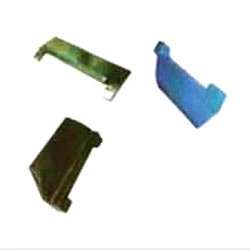 These Material Are Uv Stabilised And Available In Natural Colour Or As Per Requirement. We are engaged in manufacturing Glass Filled Nylon (GFN) Liners which are extensively used by the railway department. These are manufactured with cutting edge precision to make the track suitable for electrical circuiting. Description of Product - T-3702 for 52 Kg Rail Section. We are manufacturing GFN 66 liners for railway tracks.